Today is the second day of the Issie top pattern tour!! Until the end of the tour you can receive 10% off the purchase price of the Issie top by using code: ISSIERELEASE10. Don't forget you can also now purchase the pattern in Dutch! 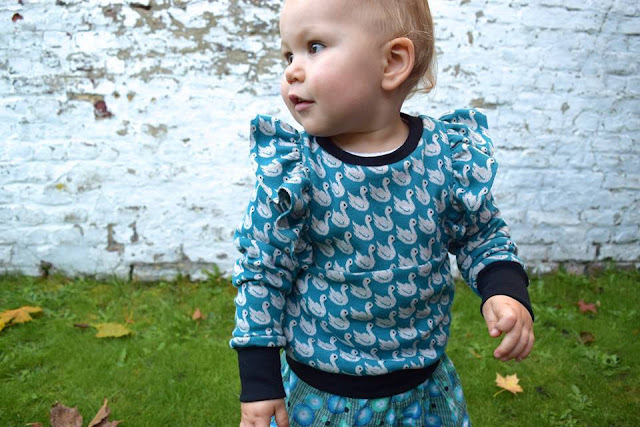 Today three more lovely ladies are sharing their Issie tops! And it seems today is Belgium day as all of these ladies hale from this little country! First up is Linde from VINK. I first discovered Linde a few years ago now through an image of a gorgeous collar I saw on flickr. I contacted Linde to see if she would mind if I made a tutorial for the collar that I copied from her! It was on this christmas dress I made Isabella. Fast forward around four years and I still love Linde's sewing and fortunately she has nieces whom she loves to sew for as well as her spunky (older 13 y/o) daughter, so I was lucky to have Linde test the Issie top in one of the smaller sizes. As mentioned in the opening paragraph, Anke from Amore has been my translator for all of my Dutch patterns! I am so thankful for her help and skills!! Anke is also a wonderful sewer. She lives in Belgium and blogs at Amore and also shares her creations on IG. She has sewed up many of my patterns now and she is joining me today also on the Issie tour. 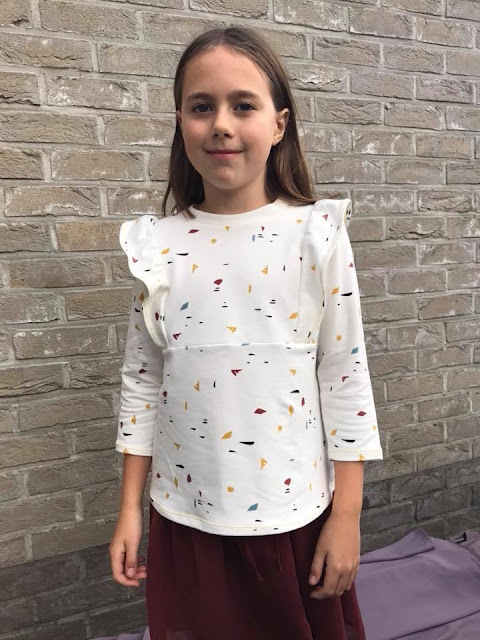 She made a gorgeous top during testing and now I can see that she also used the dress tutorial and added the lovely Rose collar too! Nathalie blogs at MeToezie and has a lovely IG account too. I have followed Nathalie for a while now and was really excited to see that she signed up to help me test. She sews mostly for her two daughters and is also a part time nurse. I love her fabric choices and the quintessential Belgian style of her sewing. 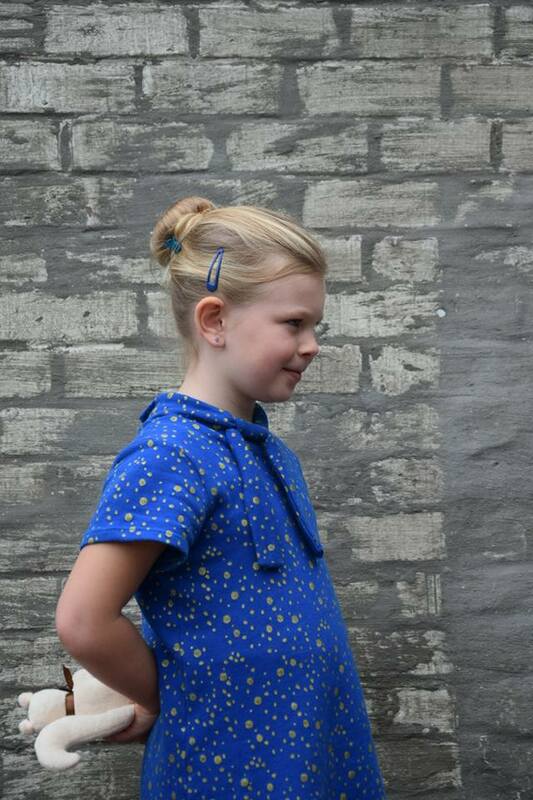 Nathalie made a lovely Issie top from the new See you at Six fabrics. Thank you very much Linde, Anke and Nathalie for joining me on the Issie top tour. Come back on Friday to meet some more lovely sewers and their tops!